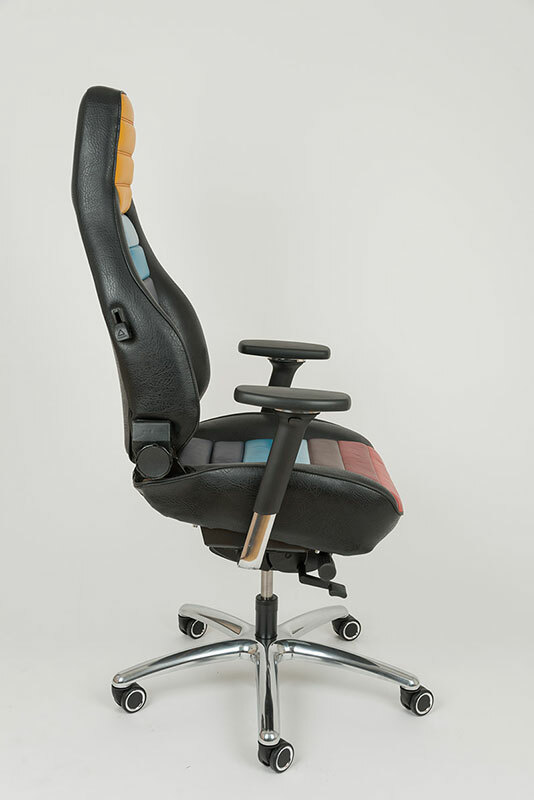 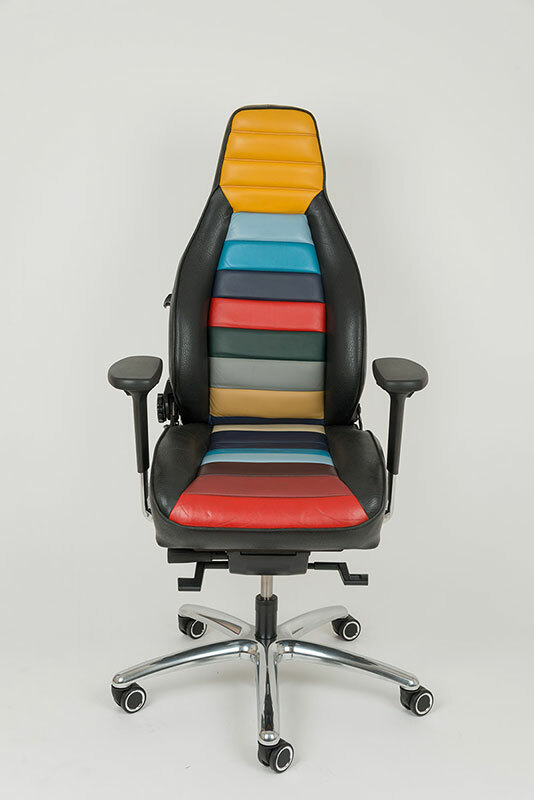 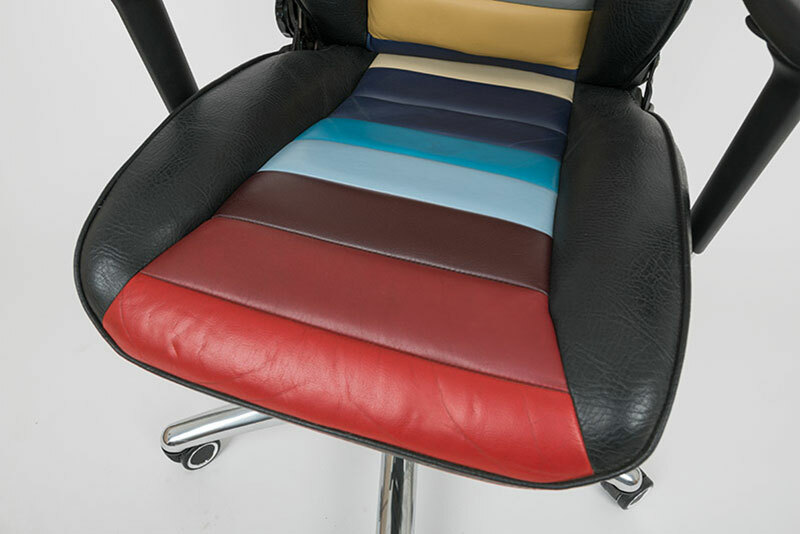 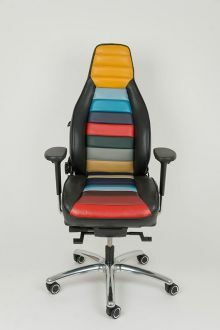 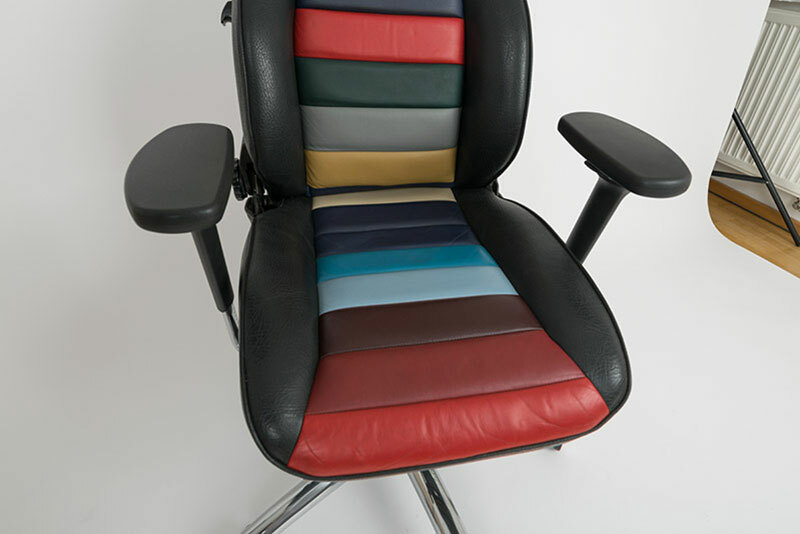 This unique office chair was developed for one of our clients. 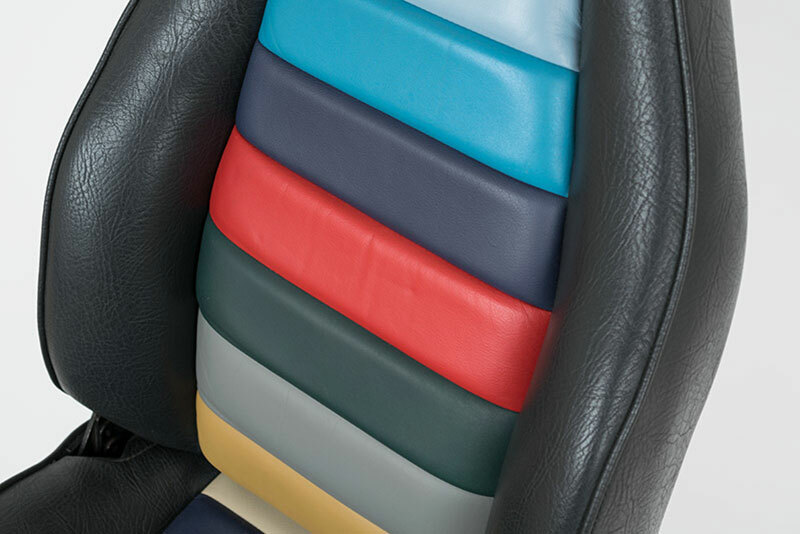 The chair is based on a original Porsche 911 seat made in 1976 and supplied by the client. 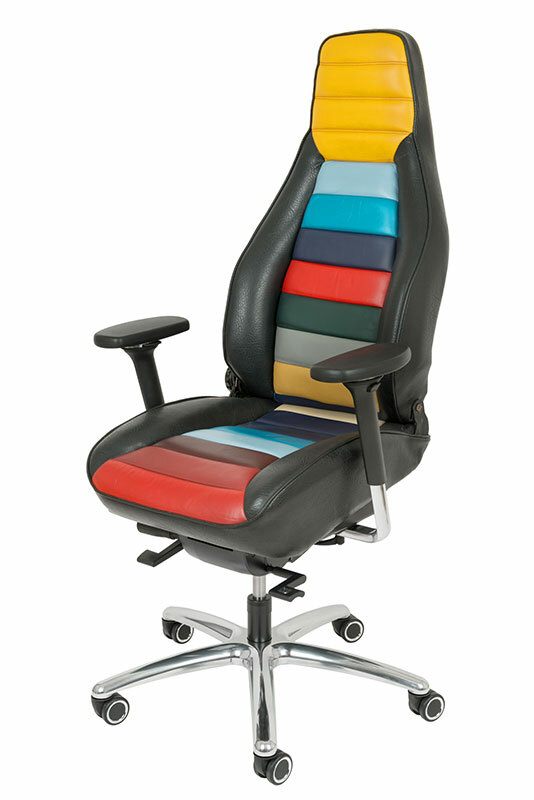 Contact us if you are interested in designing your individual office chair from your car seat. The type and age of the car are not important.